Interested in learning a new sport that is played the world over? Looking for a sport to coach? Look no further! 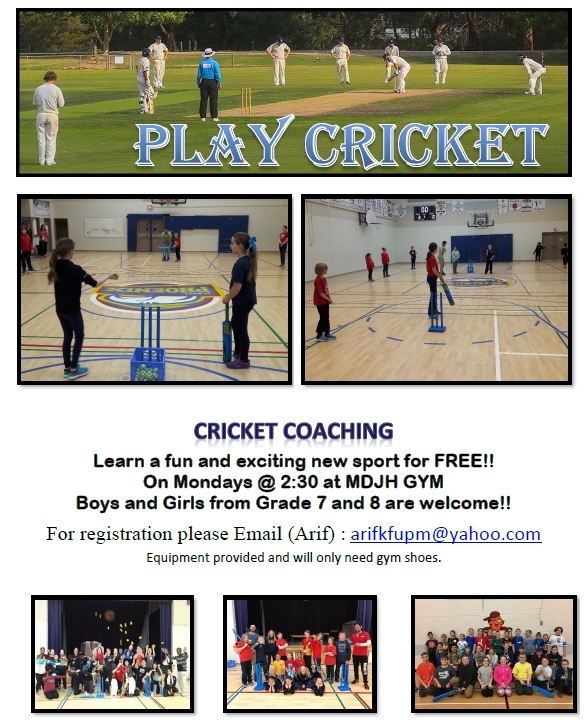 Learn to play Cricket – Mondays at 2:30 pm in the MDJH gym. Open to students in Grade 7 and 8! No charge – just bring your sneakers! 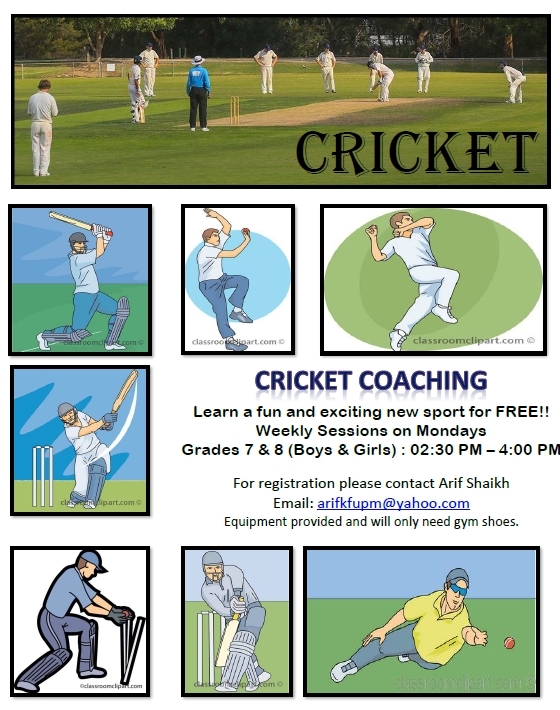 Interested in learning how to coach Cricket? Mondays at 2:30 PM in the MDJH gym!